Qualification: For General & OBC candidates, First Class in BE / B.Tech (Electronics / Electronics & Communications, Electronics & Telecommunications/ Communication / Telecommunication/Electrical / Electrical & Electronics)or Equivalent. Pass class for SC/ST candidates. Experience: Should have worked in the Electronic Industry in the area of R&D / Design/Production/Testing/Field Service, for a period as indicated against respective position. Experience in Defence Electronics Industry in the areas mentioned above, would be given preference. 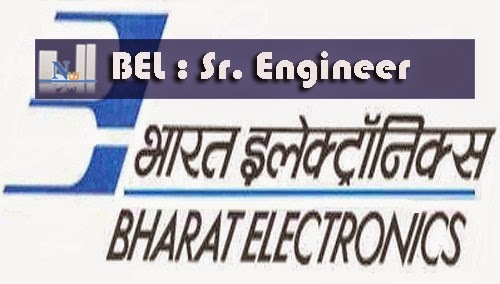 E-II For General & OBC candidates, First Class in BE / B.Tech (Electronics / Electronics & Communications, Electronics & Telecommunications/ Communication / Telecommunication /Electrical / Electrical &Electronics)or Equivalent. Pass class for SC/ST candidates. Experience: Should have worked in the Electronic Industry in the area of R&D / Design/Production/Testing/Field Service, for a period as indicated against respective position.Experience in Defence Electronics Industry in the areas mentioned above, would be given preference.Experience:1 Year in relevant area Rs. Application Fee : Applications of GEN /OBC candidates should be accompanied by a crossed Demand Draft drawn on any Scheduled Bank (preferable State Bank of India) for Rs. 500/- in favor of Bharat Electronics Limited, Bangalore and SC / ST /PWD candidates are exempted from furnishing Demand Draft.